On 9th July 2015, IEEE AIUB Student Branch organized a workshop entitled “Workshop on Power System Analysis Using MATLAB” at Room no. 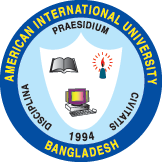 264, Building 2, American International University-Bangladesh (AIUB). 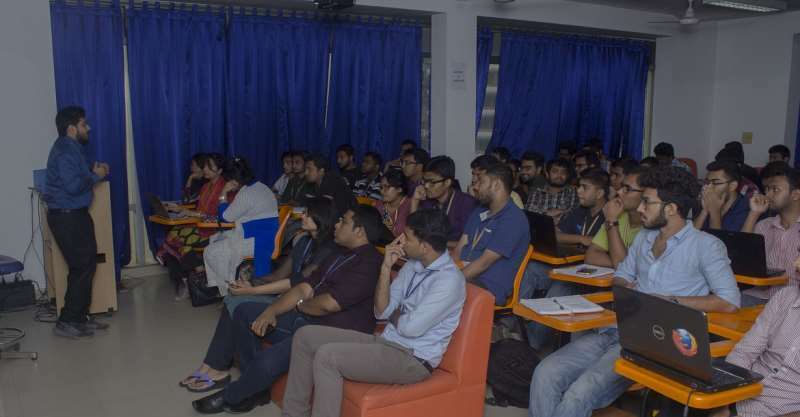 With 60 participants, the workshop aimed to introduce the students to an important part of power system analysis. Prof. Dr. A.B.M Siddique Hossain, Honorable Dean, Faculty of Engineering, AIUB, with an inspirational speech, initiated the Event. Dr. Md. Abdul Mannan, Head (Undergraduate Program) & Associate Professor, Faculty of Engineering, AIUB then shared a few words with the participants. In the main part of the event, Mr. Miftah Al Karim, Assistant Professor, Faculty of Engineering, AIUB; went onto demonstrate the numerous functions available on MATLAB and how to implement and analyze a total power system network by using a customize GUI and available functions. He also showed the methods to get the desired output from the software and also how to calculate and compare parameters for different power system networks and identify faults. 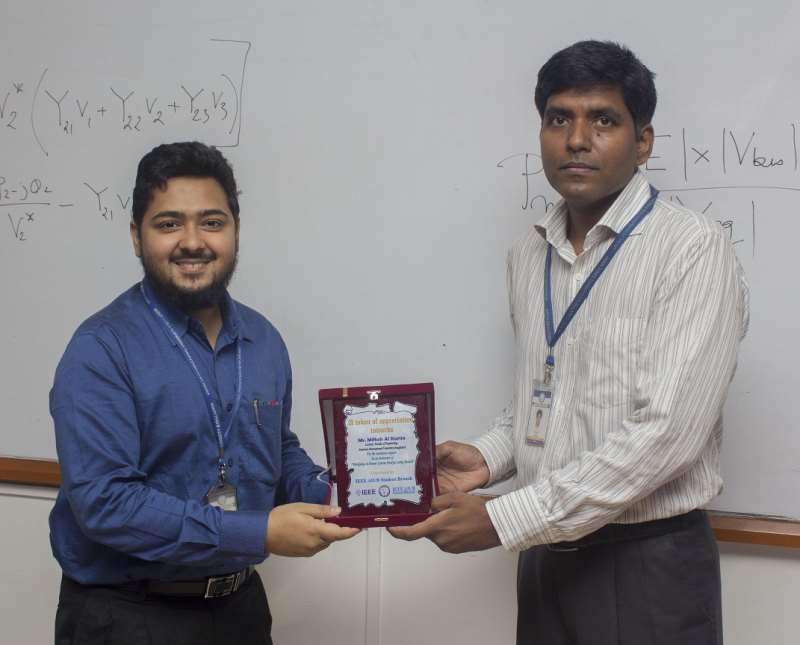 The event was concluded by Mr. Farhadur Arifin, Assistant Professor, Faculty of Engineering, AIUB & Counselor, IEEE AIUB student branch; presenting the instructor with a token of appreciation from IEEE AIUB student branch. Mr. Saniat Rahman Zishan, Assistant Professor, Faculty of Engineering, AIUB & Advisor, IEEE AIUB student branch, Mr. Shahriar Hasan, Lecturer,Faculty of Engineering, AIUB and Motivator of IEEE AIUB student branch, Ms. Tasnuva Tasneem, Lecturer, Faculty of Engineering, AIUB &WIE Coordinator, IEEE AIUB Student Branch, Mr. Nasimul Islam Maruf, Assistant Professor, Faculty of Engineering, AIUB and Mr. Md. 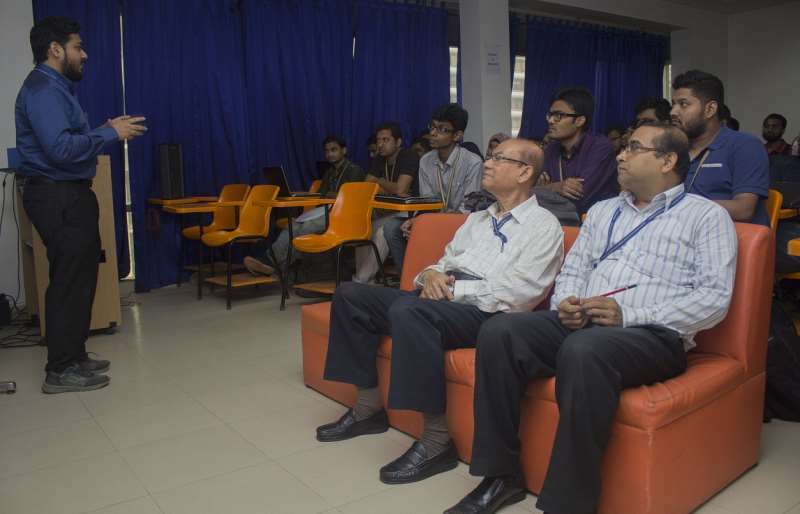 Asaduzzaman Shoeb, Assistant Professor, Faculty of Engineering, AIUB; graced the event with their presence.